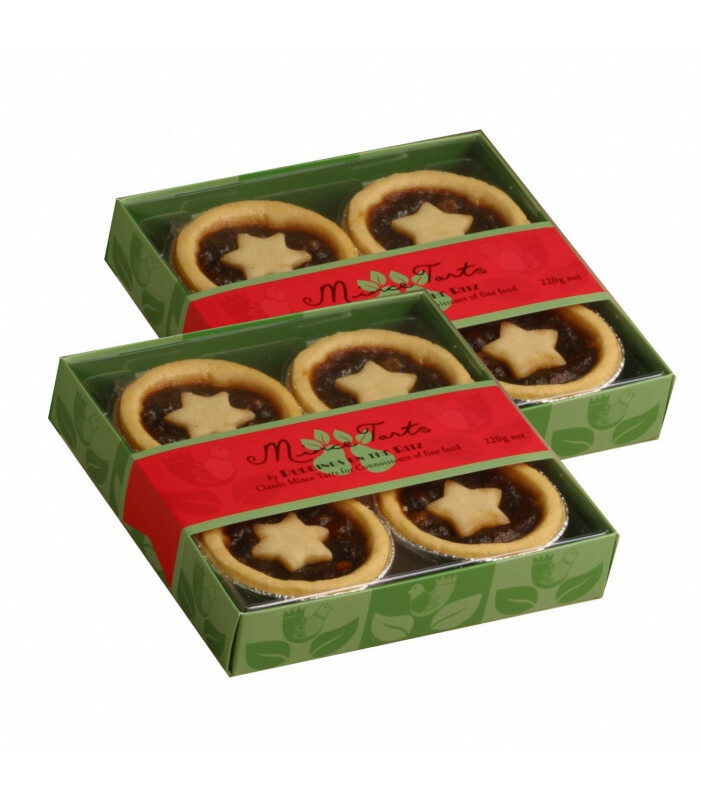 Fruit Mince Tarts Partridge in a Pear Tree, this set contains 2 x 220g packets, with four Fruit Mince Tart in each pack. Rich moist mince, brimming with luscious fruit and exotic, aromatic spices. Arranged in an elegant presentation gift pack.